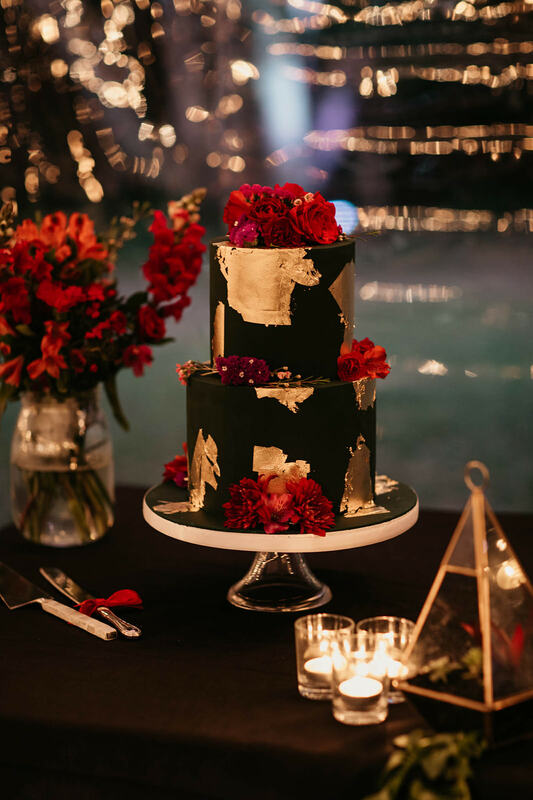 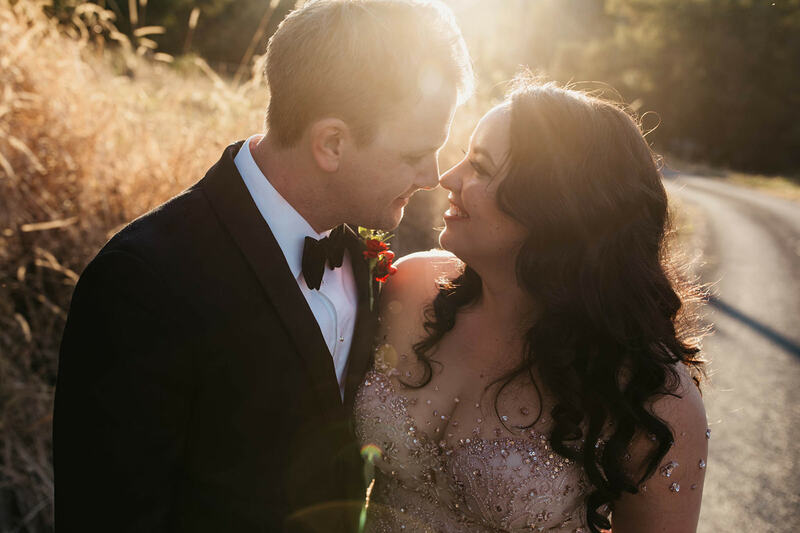 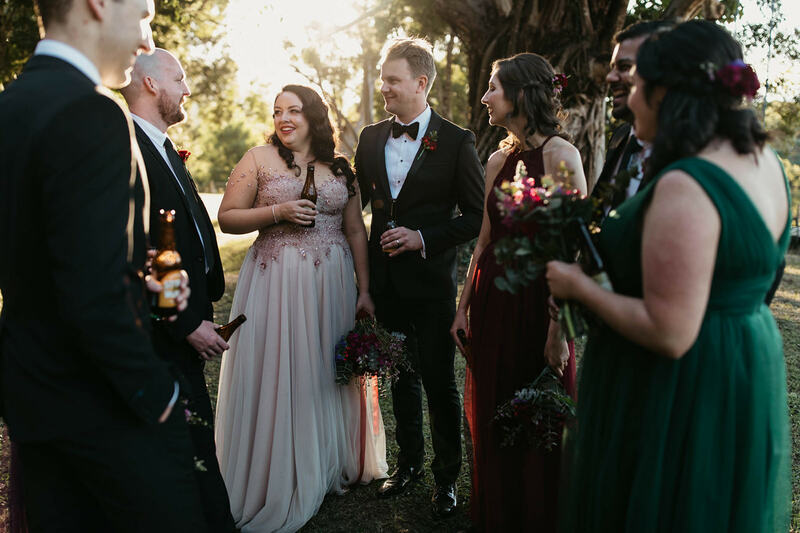 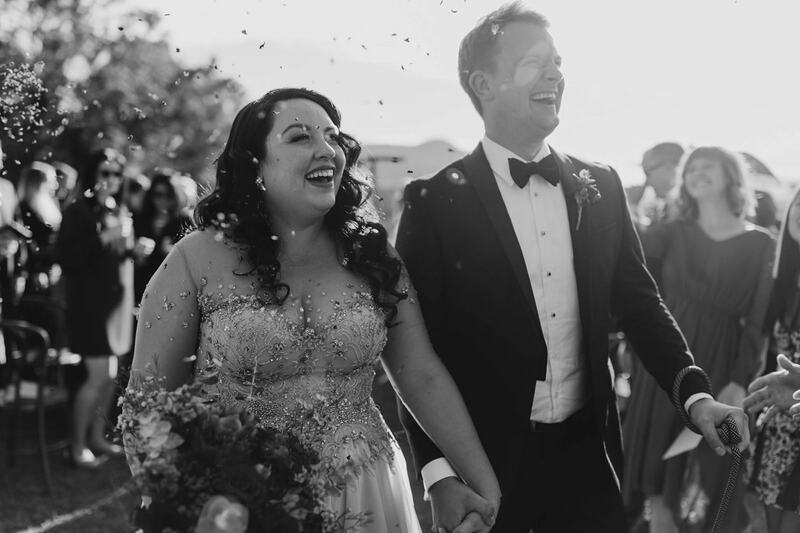 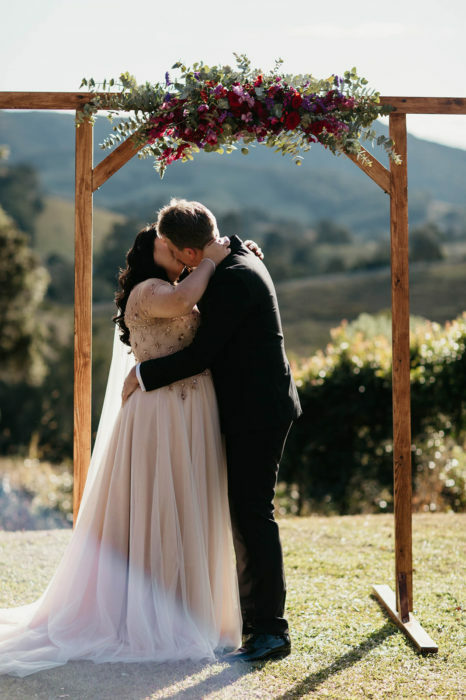 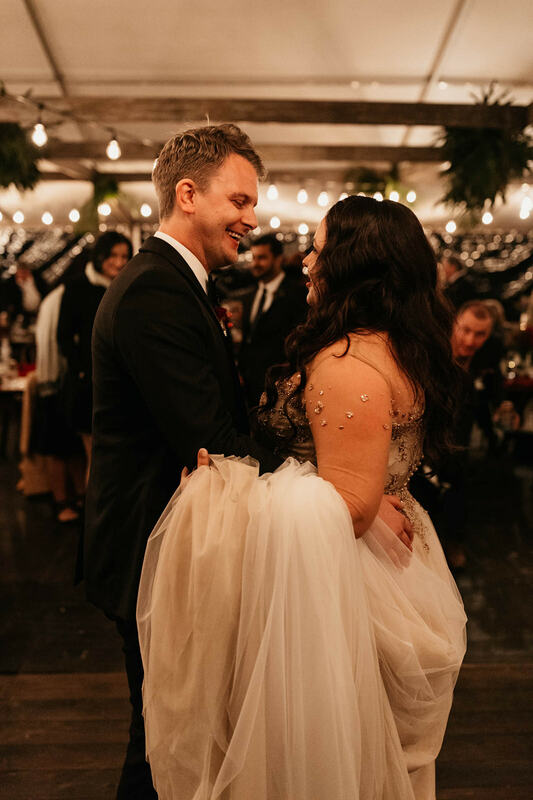 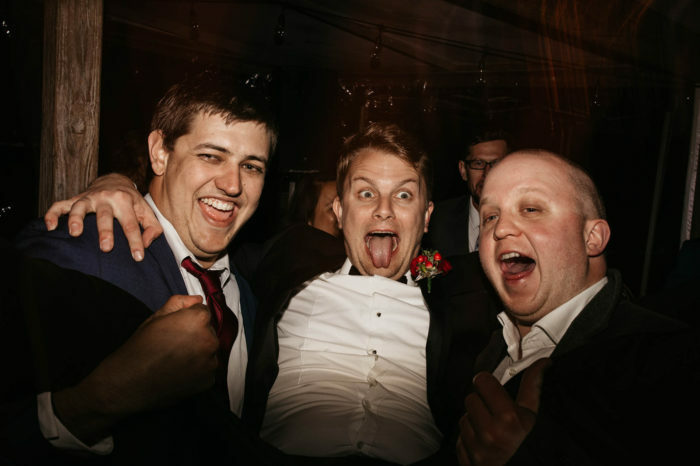 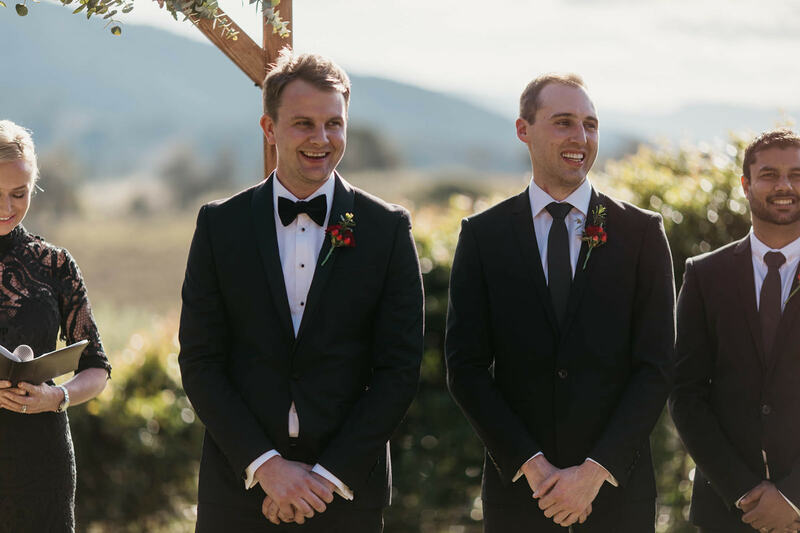 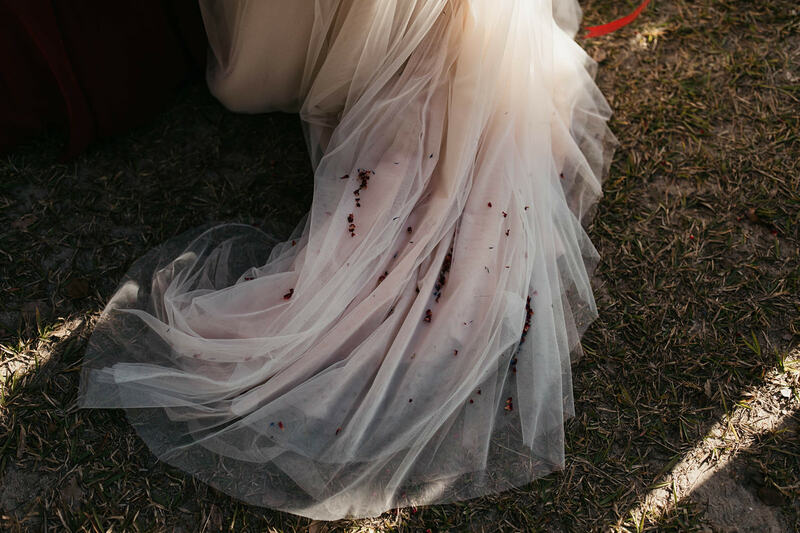 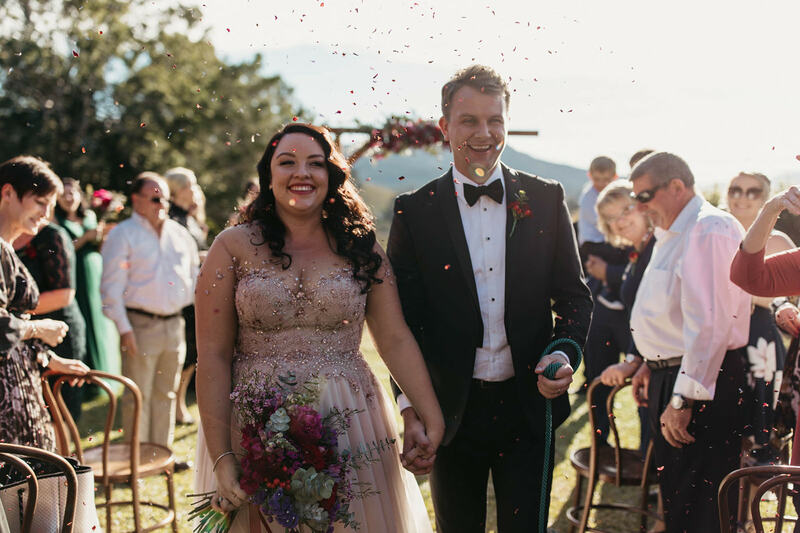 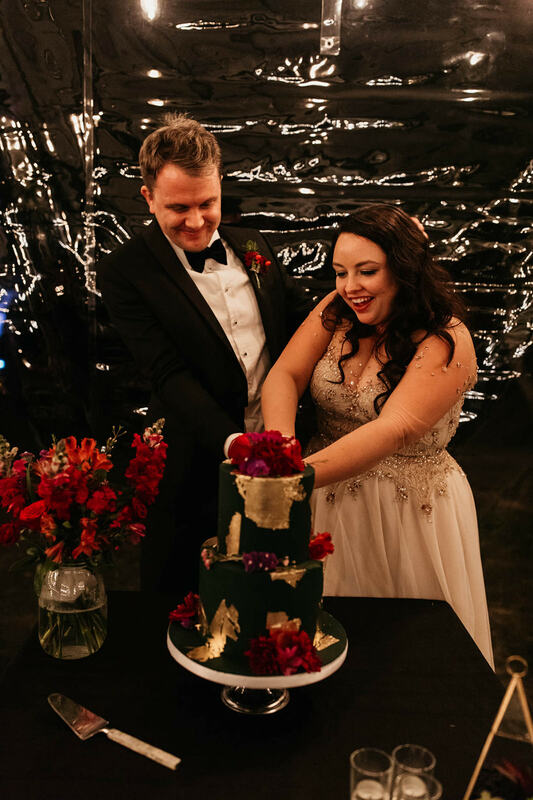 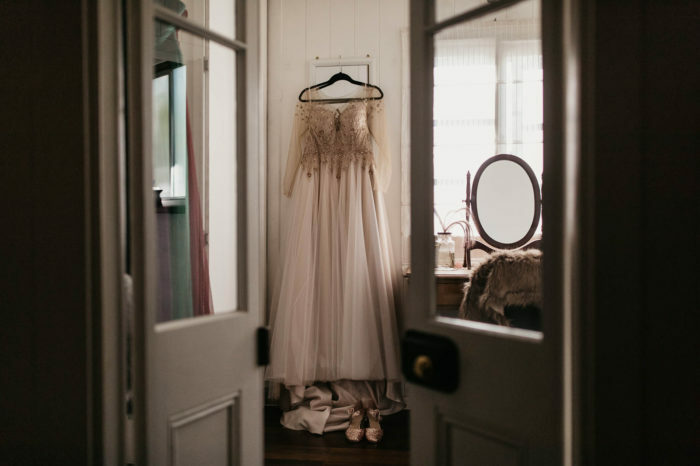 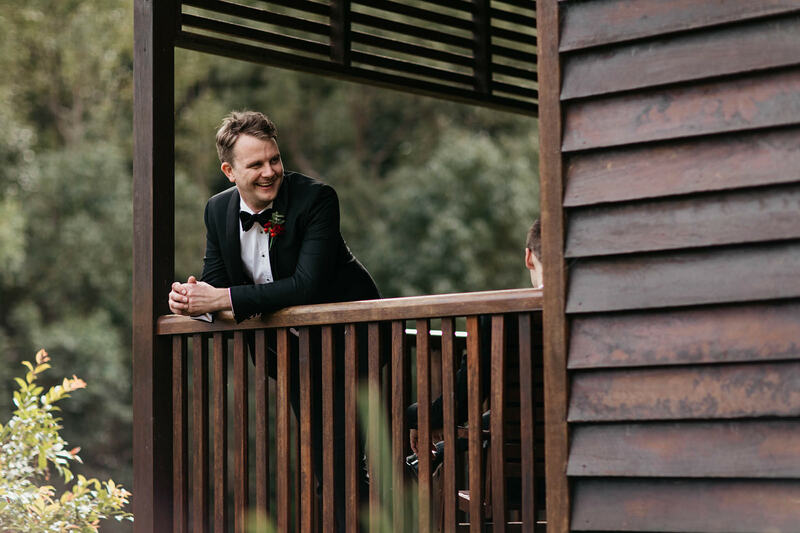 After being to together for the better part of a decade, Alycia and Clayton wanted their big day to be intimate and special as well as feel like one big relaxed party. 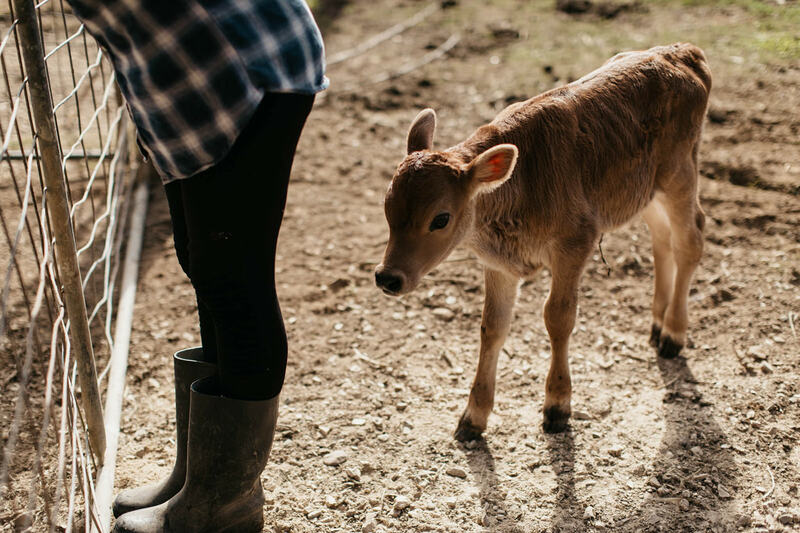 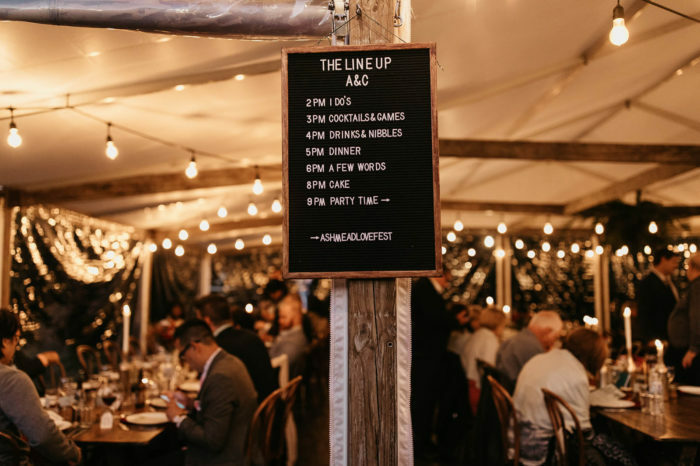 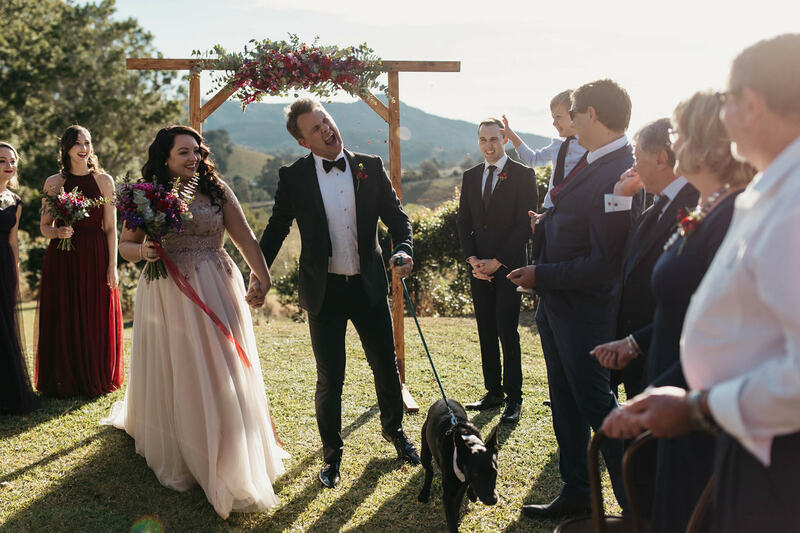 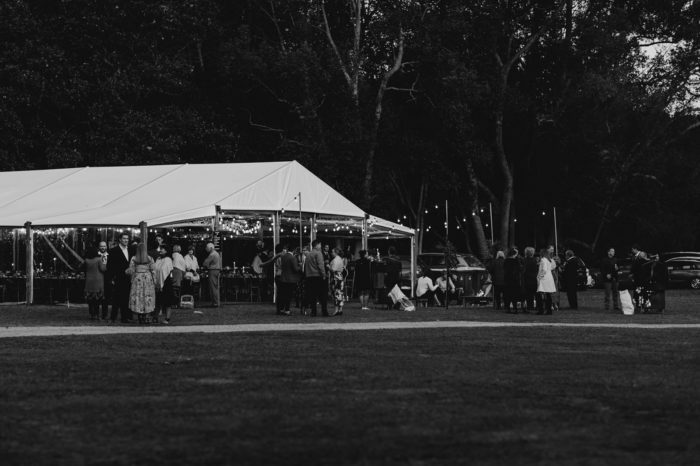 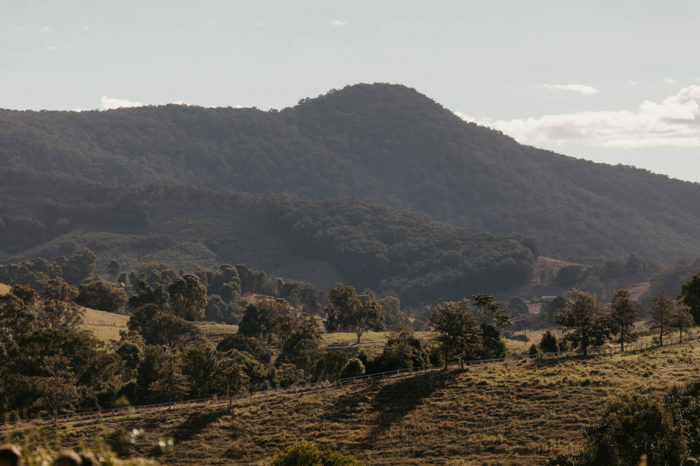 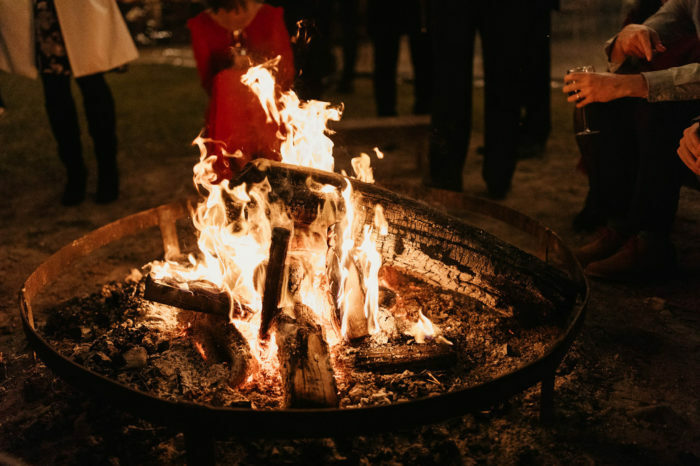 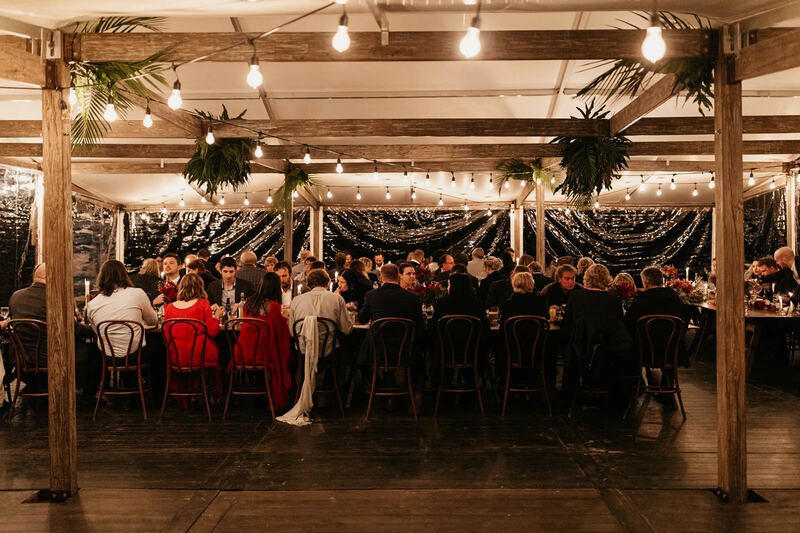 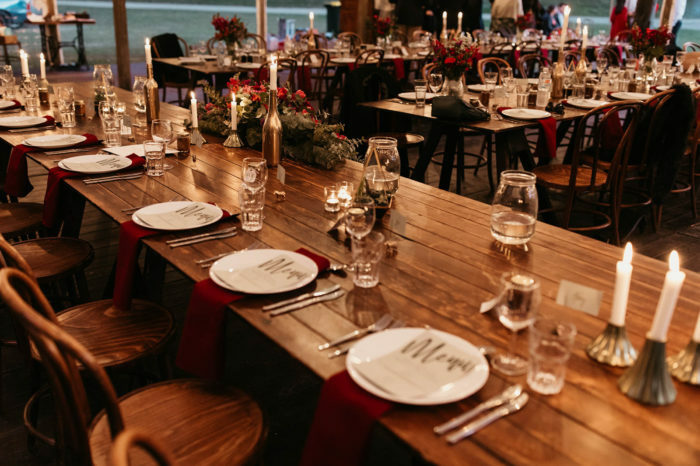 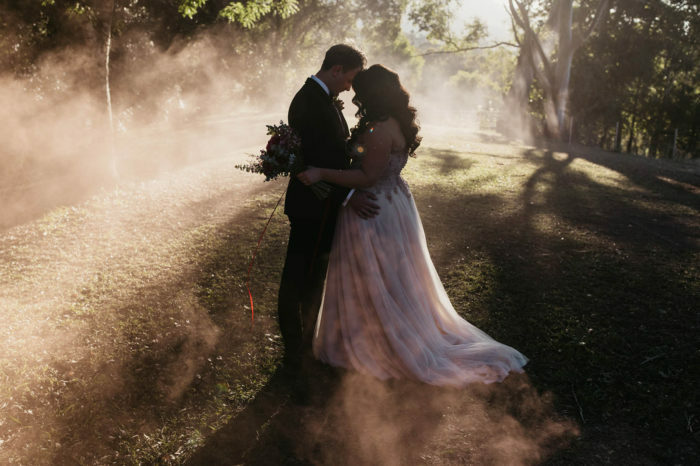 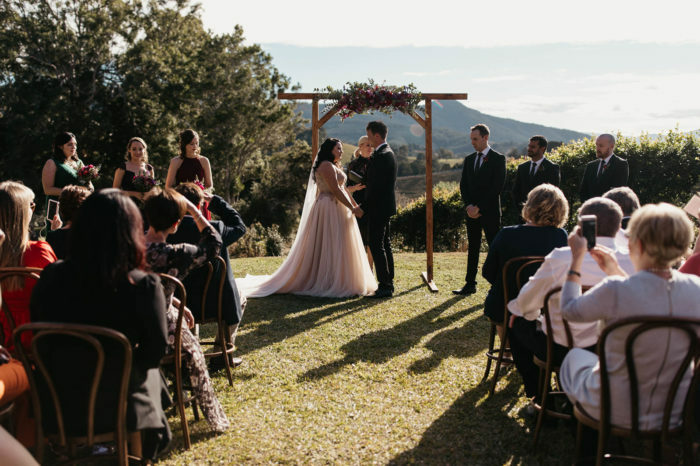 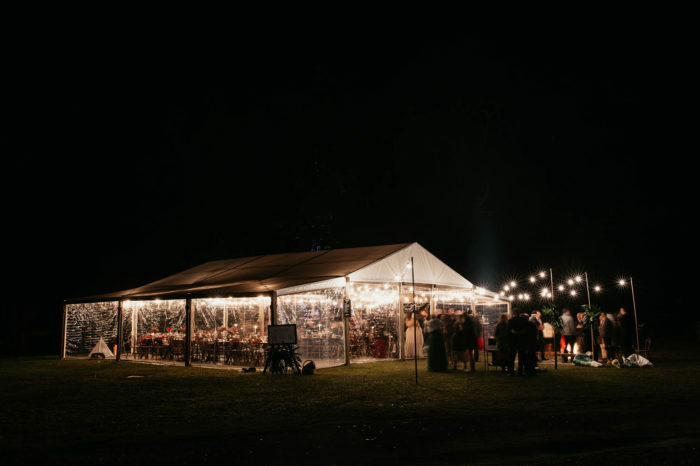 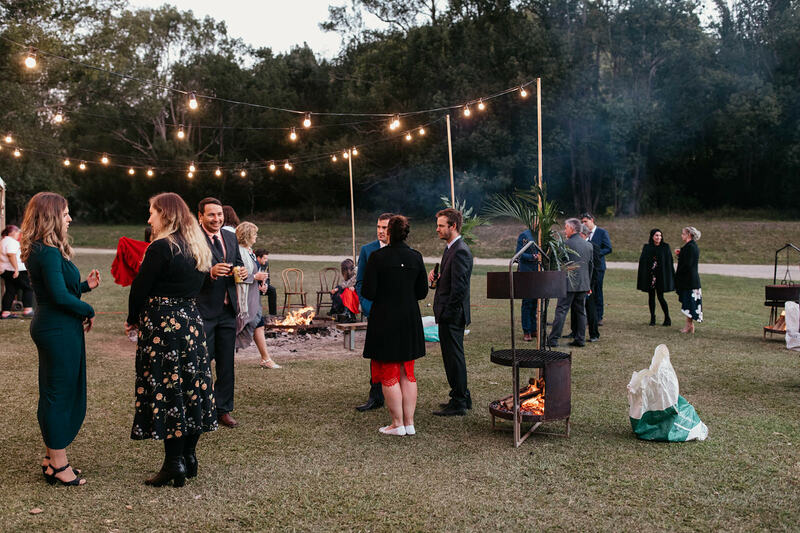 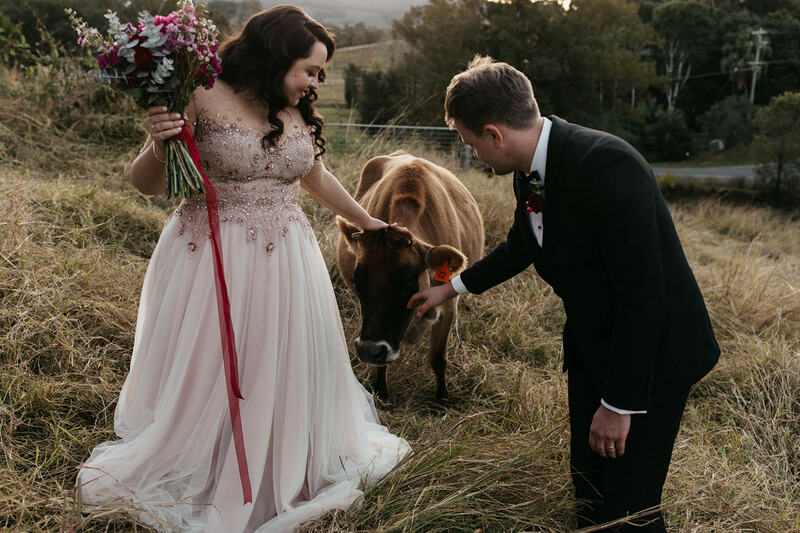 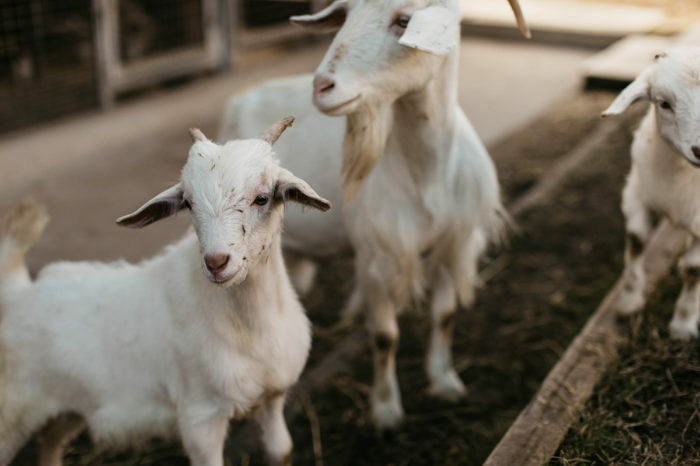 They decided to host the party of their lives at Hosanna Farm Stay, a camping and holiday park located inland between The Gold Coast and Byron Bay. 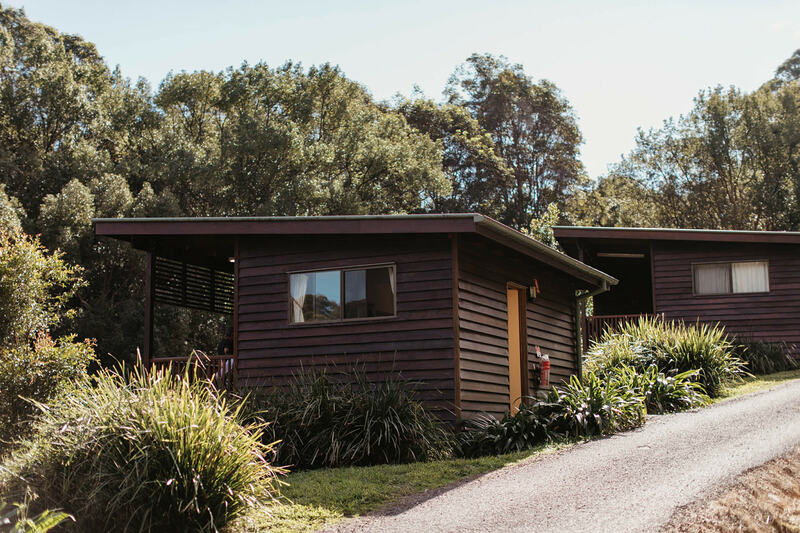 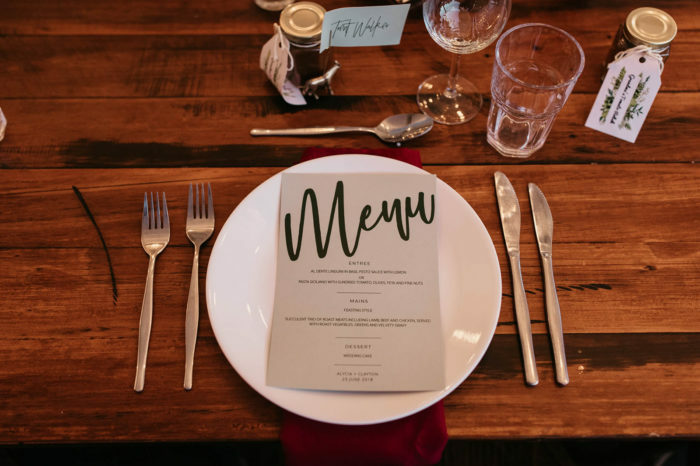 Hosanna is infamous for it’s casual accommodation and ability to make all their guests feel at home with traditional home cooked meals and friendly hosts. 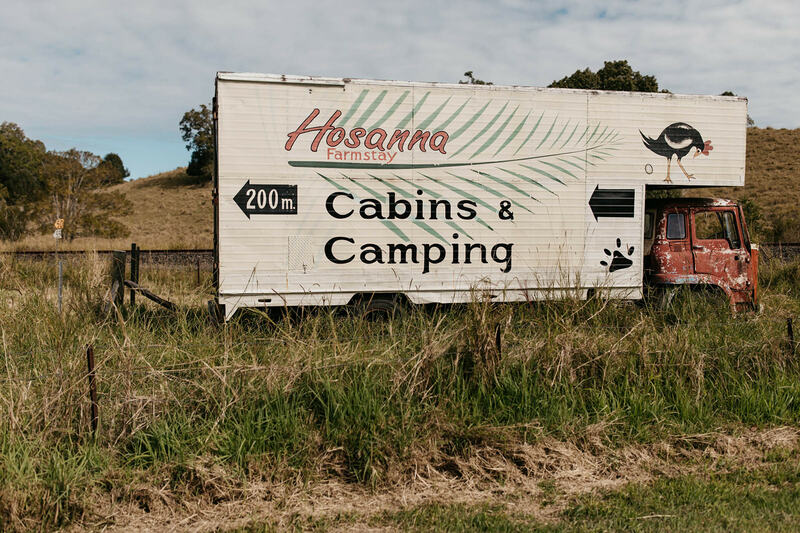 Hosanna is also home to a variety of animals, one of which was a runaway pig who escaped her pen on the day. 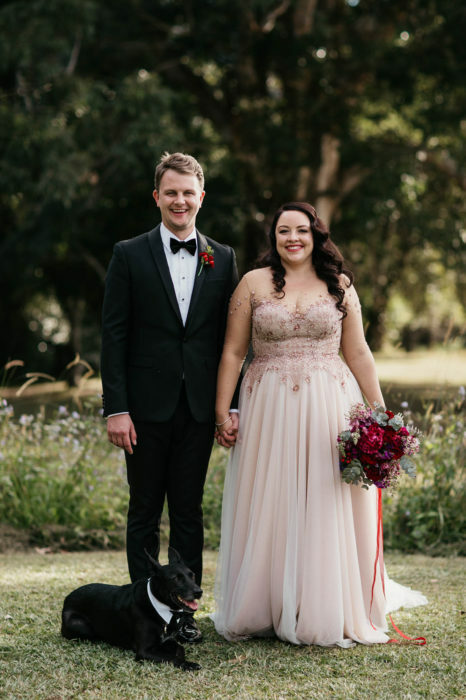 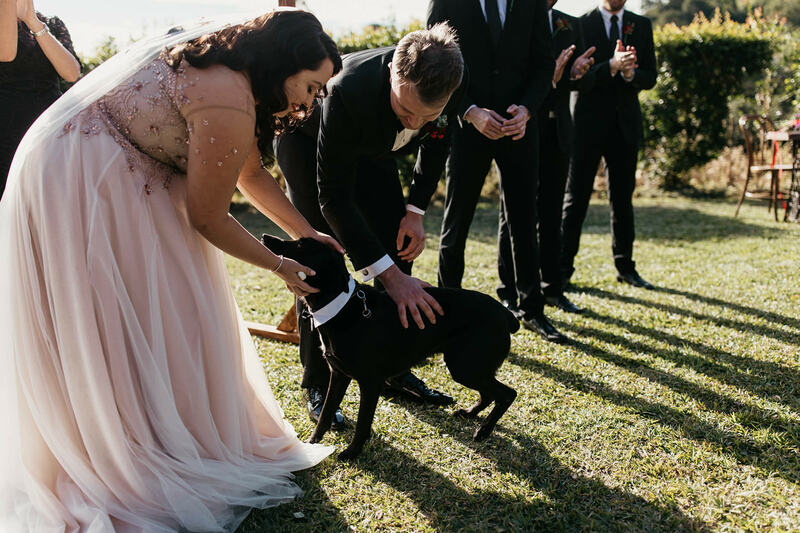 Alycia wore a custom gown which was brought to life by Keooula Designs and was met at the end of the isle by her furbaby Zac who also stood in as ring bearer. 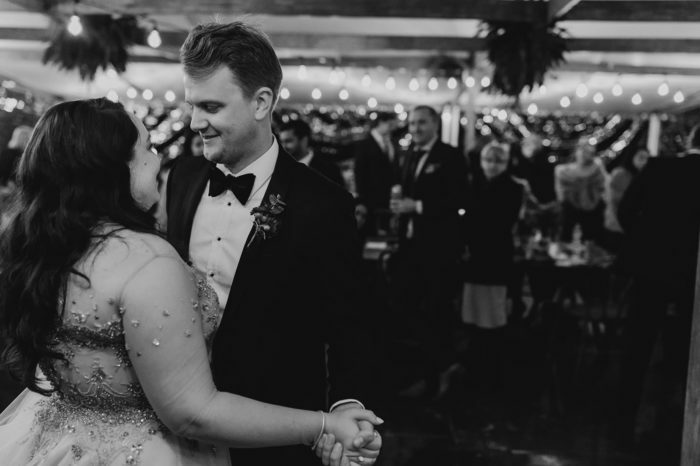 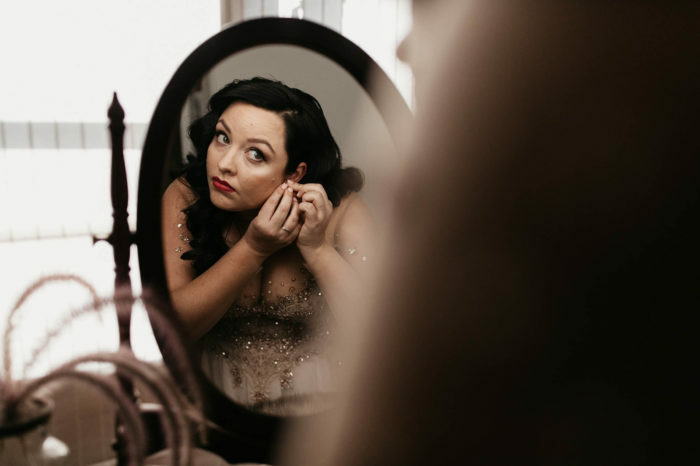 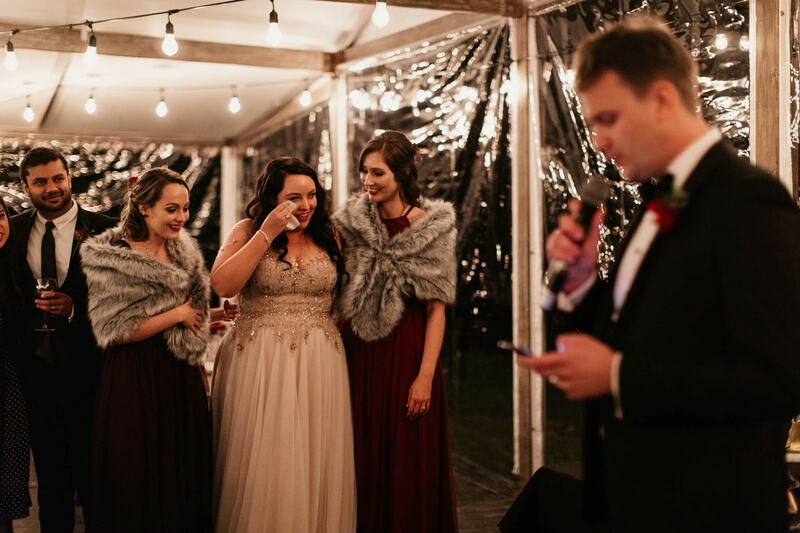 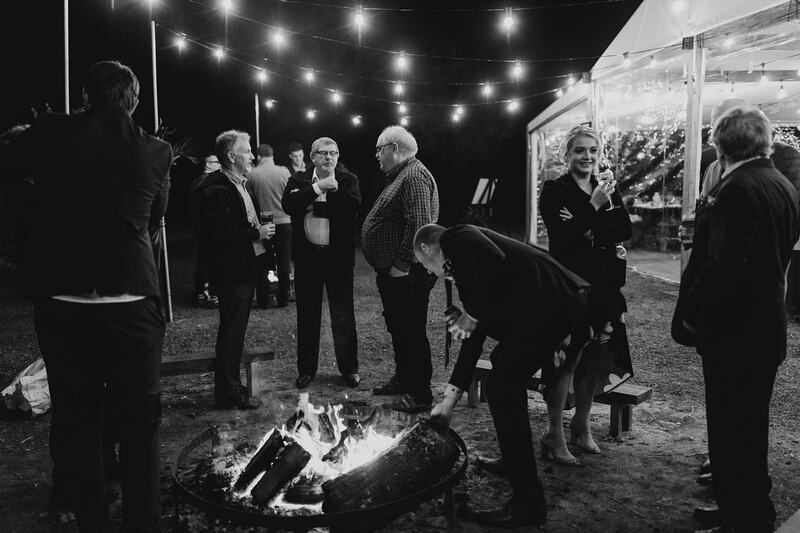 After dining in a clear pavilion filled with warm twinkling lights and long taper candles, Alycia was serenaded by her new husband who performed his version of ‘Love me Tender‘ by Elvis Presley. 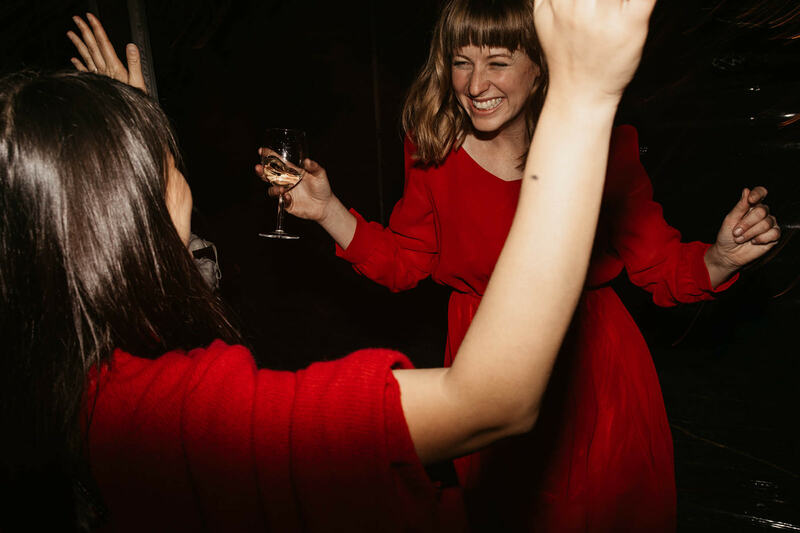 They then hit the dancefloor to Neil Young’s ‘Harvest Moon’ and continued to dance into the early hours of the morning. 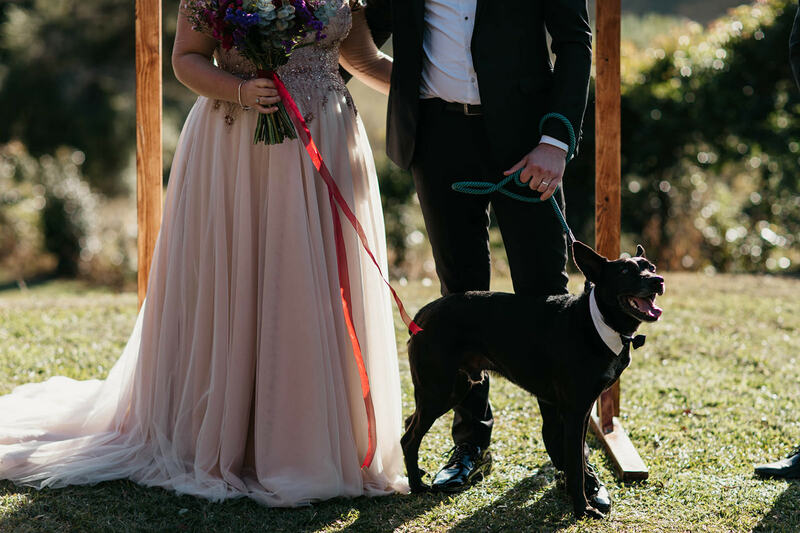 On the day coordination – Us!